Perhaps you’ve seen candy canes hanging on a Christmas tree, or used as a Christmas decoration. This tasty treat has an interesting history. 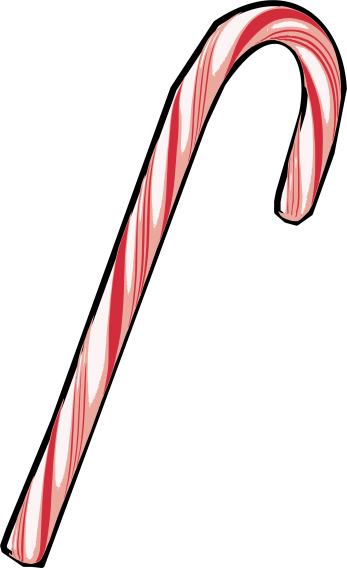 According to legend, an English candy maker in the 1700’s created the candy cane to express his faith at Christmastime. Candy canes are a popular Christmas tree decoration. Since Christmas is the celebration of Jesus Christ’s birthday, he chose white to symbolize the purity of this holy child. The original flavor was zesty peppermint, chosen for its strength (a big spoonful flavors 50 kg of candy! ), and to recall the spices given to the baby Jesus by visiting Wise Men. The candy maker wrapped a wide red stripe into his creation to represent the sacrifice of Christ (whose “blood” made forgiveness and a relationship with God possible). Next, he added three smaller stripes to represent the Trinity (God the Father, Son and Holy Spirit). Finally, he bent the candy to shape the first letter of Jesus’ name. 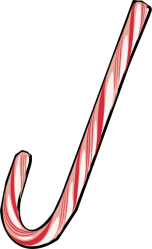 Upside down, the candy cane looks like a shepherd’s “crook” (or stick)—reminding us of both the shepherds in the Christmas story and of Jesus, the “Good Shepherd.” The “J” shape also allowed candy canes to be hung from Christmas trees, which may also be why it has been a popular Christmas symbol and treat for over 200 years! 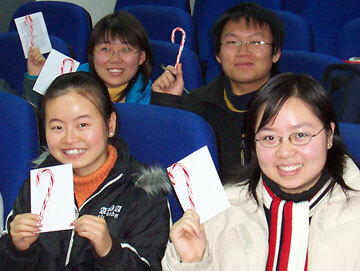 My 2004 students, holding up candy canes sent by a friend in America. By 2007, we were able to find the treat in China! 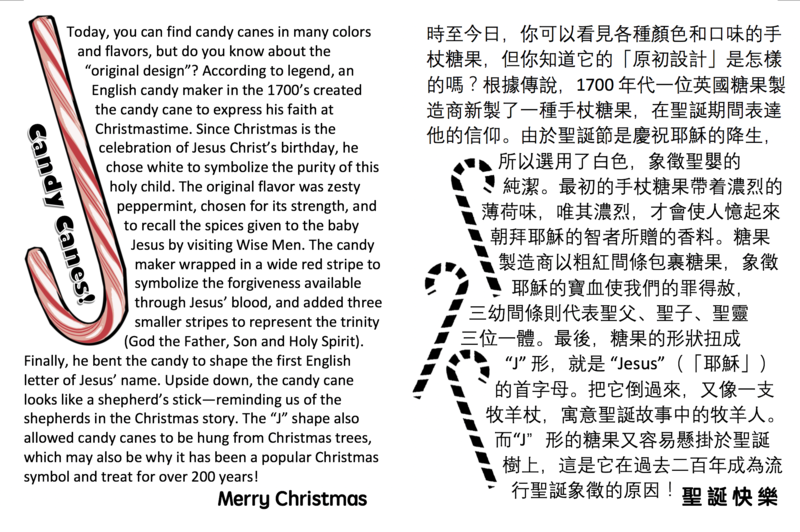 Today, you can find candy canes in many colors and flavors, but my favorite will always be the “original design,” which is not only delicious, but also reminds me of the unique and enduring way that a common candy-maker expressed his faith at Christmastime. 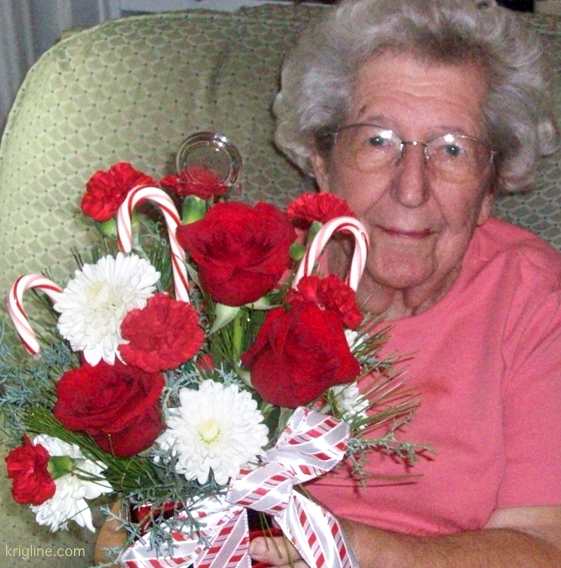 Vivian’s mother with Christmas flowers, decorated with candy canes bearing the original design. When we give out this candy, we like to attach a simple introduction. Two copies can be printed on A4 paper if you use the following file/picture. This resource was created for our students under my understanding of “fair use” for educational resources. (Translation courtesy of our friend Elaine.) As far as we are concerned, people are allowed to print/copy it for personal or classroom use.